Ryan Allen is an artful practitioner of many modalities, so his online home needed a written brand identity that was just as nimble. 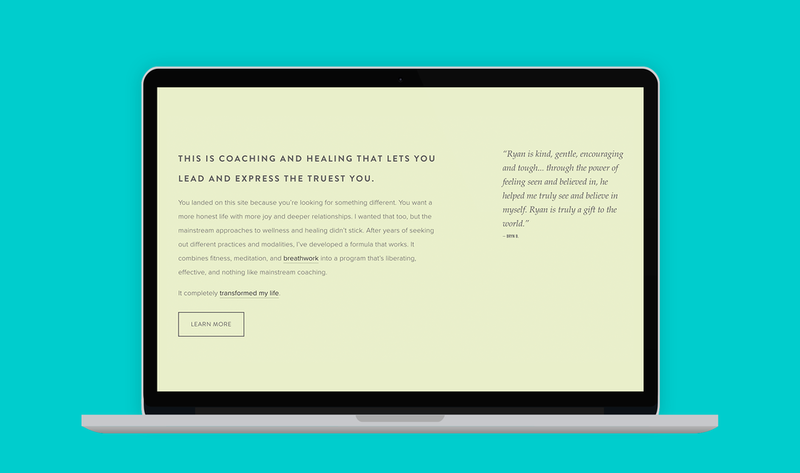 "This is coaching and healing that lets you lead and express the truest you." We chose an open-book approach that mirrors Allen’s warmth and vulnerability, while it guides potential clients deftly through his many offerings. His humor, transparency, and wisdom are infused into every page of the site, creating a continuity to his voice and personality that invites you in to stay.